Happy Friday my friends! January is rushing by and before you know it Valentine's Day will be upon us. 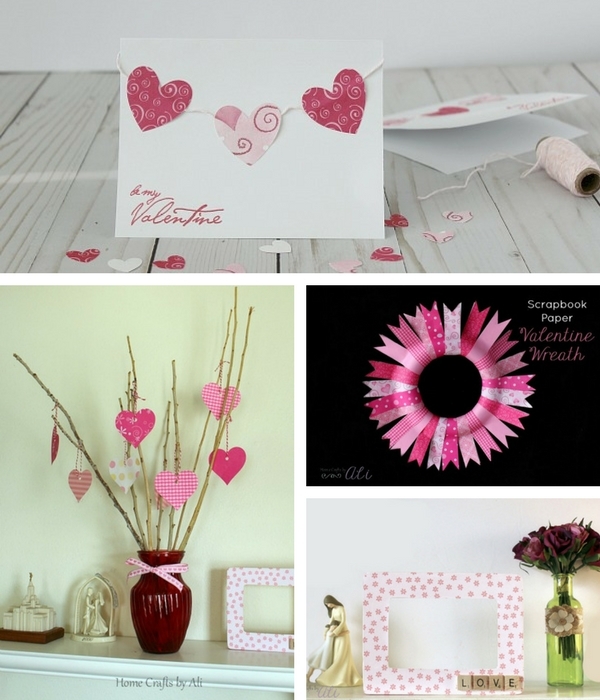 Do you have a special sweetheart that you celebrate with? The favorite pin from last weeks link party that we are featuring this week has 100 Valentine Dessert Ideas for you! Check that one out before you add your link to the linky this week. Thank you for participating in The Ultimate Pinterest Party! Welcome to this weeks fun The Ultimate Pinterest Party! The place to find delicious recipes, fun crafts, and interesting tips linked up from your favorite bloggers! The long weekend is almost upon us! Hope you have some fun plans. We are taking a trip to the aquarium to see the new exhibits they have and are pretty excited to have a family movie night too. 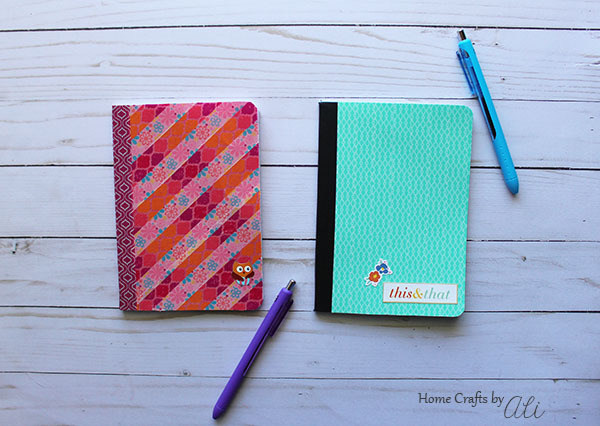 Make a cute decorated notebook when you follow this Quick and Easy Washi Tape Notebook tutorial. Are you someone that liked to have notebooks handy? Maybe as a journal, or to jot down notes, or writing down your grocery list so you don't forget anything at the store, or maybe it's to keep track of the never ending daily to-do list. Whatever the reason, it's nice to have a cute notebook to use...but the price for stylish notebooks seems to increase all the time. To solve that, you can make your own with just a few supplies! Let me confess something to you....I have a large collection of washi tape, but hardly every use it. I buy fun prints whenever I go to the store, but stockpile them because they are too cute to use. Don't tell me I'm alone! So lately I have been crafting using my washi tape and I love it! Happy New Year friends! Hope your year is starting off great! Thanks for visiting the Ultimate Pinterest Party this week. If you are a reader, I hope you find some tasty recipes and fun crafts to work on. If you are a blogger, leave 2 links to a pin you want promoted. The new year started off great with a get together with friends to play games, have scrumptious snacks, and ring in the new year. I have been busily planning some fun projects and recipes for the upcoming months too! As we say goodbye to 2017 and hello to 2018, it's fun to look back at the reader favorite posts from 2017. There are a good mix of craft and decor projects as well as some delicious recipes that make your mouth water. 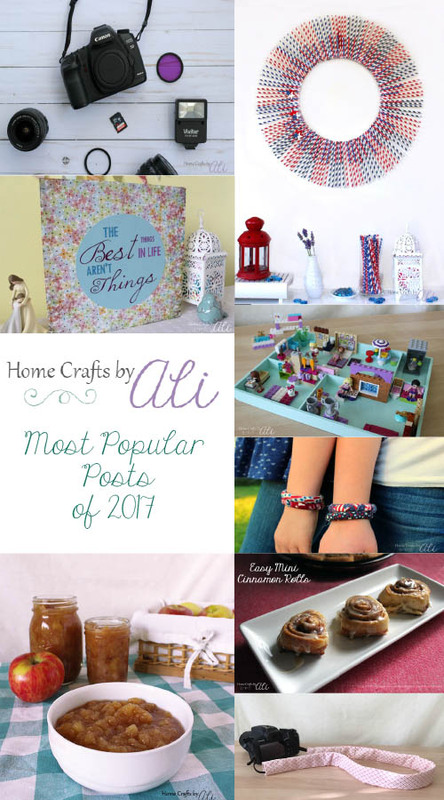 Take a look over at Most Popular Posts of 2017 on Home Crafts by Ali. Now on to the link party!! As 2017 comes to a close, it's the time to look back at the year and see which of my posts published in 2017 were the most popular. Here is a look at the 10 posts visited most by you, my dear readers. It's hard to believe that 2017 is over already, it seemed to fly by! I really enjoyed joining up with some great groups of bloggers for craft and recipe challenges throughout the year. I'm looking forward to the creative collaboration in 2018 as well! I'm so thankful for the continued support and kind comments I receive from the people that visit my blog. Thank you!! It means so much to hear on the blog that you like the recipes and craft projects I share, or the photos on IG or Pinterest when you have made one of my projects.